Free downloadable graded grammar worksheets, stories and for the EFL/ESL teacher and student of large mixed-level classes. · He presents new words entering the language like pocket dial (call by accident) or wavy (stylish). Modals like must, shall and may have decreased in use. The progressive aspect is on the increase. Static verbs developed dynamic uses: I’m needing a new coat. I’m knowing the answer. There are positive attitudes to regional accents nowdays. A new usage can be around in seconds nowdays. Variants are bound to exist and spread fast due to the Internet. 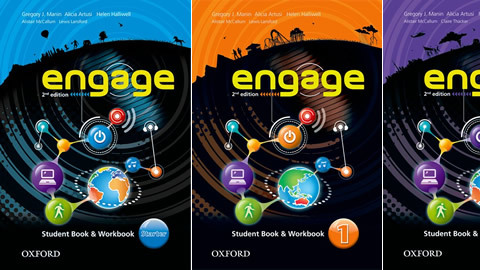 Gregory J Manin and Alicia Artusi are the authors of Engage (a coursebook series designed for large mixed-level classes) among other coursebooks published by Oxford University Press, UK. They have written several articles about teaching large classes with Etp English Teaching Professional magazine. © Gregory J Manin and Alicia Artusi 2017. Watermark theme. Powered by Blogger.